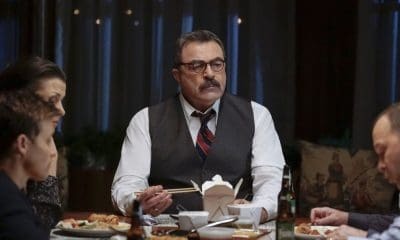 BLUE BLOODS Season 9 Episode 2 Photos Meet The New Boss – “Meet the New Boss” – Gormley looks to Danny and Baez for help tracking down a former NYPD detective he believes may be a threat to Frank’s safety. 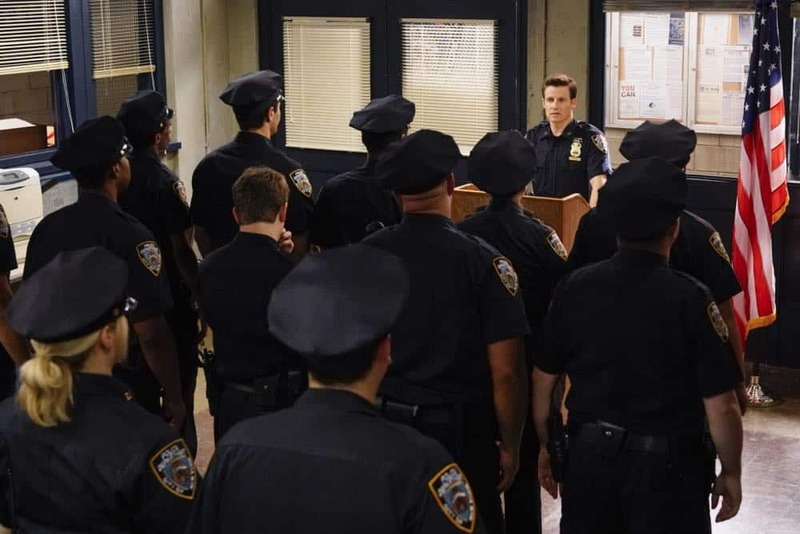 Also, Erin navigates office politics when she chooses to reopen a closed case; Jamie is transferred to a new precinct with a lot of problems; and Frank and Baker team up to investigate a complaint about an SVU detective, on BLUE BLOODS, Friday, Oct. 5 (10:00-11:00 PM, ET/PT) on the CBS Television Network. Bebe Neuwirth returns as Kelly Peterson, the corporation counsel who handles civil claims against the department. BLUE BLOODS is a drama about a multi-generational family of cops dedicated to New York City law enforcement. Frank Reagan is the New York Police Commissioner, and heads both the police force and the Reagan brood. He runs his department as diplomatically as he runs his family, even when dealing with the politics that plagued his unapologetically bold father, Henry, during his stint as Chief. A source of pride and concern for Frank is his eldest son, Danny, a seasoned detective, family man and Iraq War vet who on occasion uses dubious tactics to solve cases with his partner, Detective Maria Baez. The Reagan women in the family include Erin, a New York Assistant D.A. who also serves as the legal compass for her siblings and father, as well as a single parent to her teenage daughter, Nicky. Jamie is the youngest Reagan, a Harvard Law graduate and the family’s “golden boy.” Unable to deny the family tradition, Jamie decided to give up a lucrative future in law and follow in the family footsteps as a cop. He’s found a friend and ally in Eddie, his female partner who keeps him on his toes, and has very different reasons than the Reagans for joining the police force. 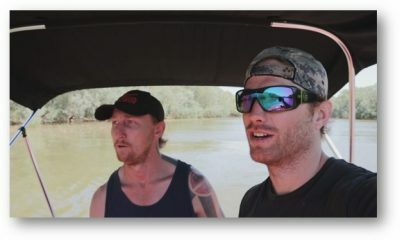 After several years of working together, Jamie and Eddie finally succumbed to their strong feelings for one another and are engaged to be married. 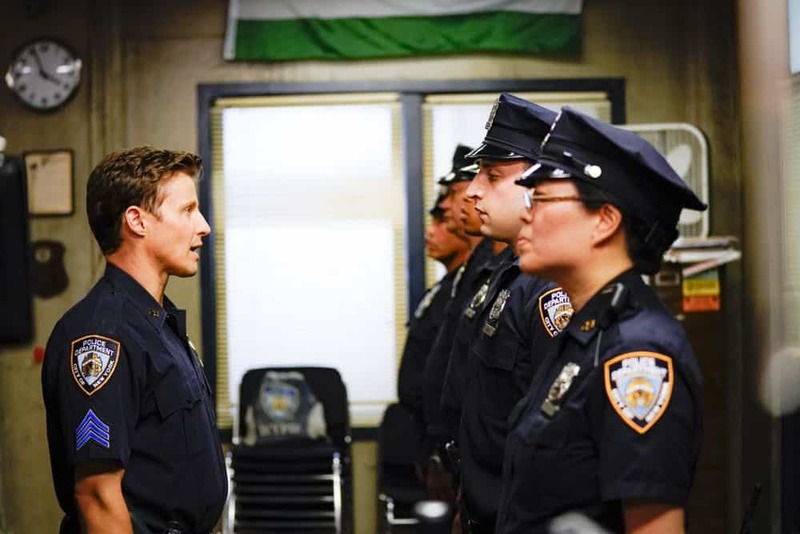 “Meet the New Boss” — Gormley looks to Danny and Baez for help tracking down a former NYPD detective he believes may be a threat to Frank’s safety. Also, Erin navigates office politics when she chooses to reopen a closed case; Jamie is transferred to a new precinct with a lot of problems; and Frank and Baker team up to investigate a complaint about an SVU detective, on BLUE BLOODS, Friday, Oct. 5 (10:00-11:00 PM, ET/PT) on the CBS Television Network. Bebe Neuwirth returns as Kelly Peterson, the corporation counsel who handles civil claims against the department. Pictured: Will Estes, Luis Antonio Ramos Photo: John Paul Filo/CBS ÃÂ©2018CBS Broadcasting Inc. All Rights Reserved. “Meet the New Boss” — Gormley looks to Danny and Baez for help tracking down a former NYPD detective he believes may be a threat to Frank’s safety. Also, Erin navigates office politics when she chooses to reopen a closed case; Jamie is transferred to a new precinct with a lot of problems; and Frank and Baker team up to investigate a complaint about an SVU detective, on BLUE BLOODS, Friday, Oct. 5 (10:00-11:00 PM, ET/PT) on the CBS Television Network. Bebe Neuwirth returns as Kelly Peterson, the corporation counsel who handles civil claims against the department. Pictured: Vanessa Ray, Will Estes Photo: John Paul Filo/CBS ÃÂ©2018CBS Broadcasting Inc. All Rights Reserved. “Meet the New Boss” — Gormley looks to Danny and Baez for help tracking down a former NYPD detective he believes may be a threat to Frank’s safety. Also, Erin navigates office politics when she chooses to reopen a closed case; Jamie is transferred to a new precinct with a lot of problems; and Frank and Baker team up to investigate a complaint about an SVU detective, on BLUE BLOODS, Friday, Oct. 5 (10:00-11:00 PM, ET/PT) on the CBS Television Network. Bebe Neuwirth returns as Kelly Peterson, the corporation counsel who handles civil claims against the department. Pictured: Will Estes, Vanessa Ray Photo: John Paul Filo/CBS ÃÂ©2018CBS Broadcasting Inc. All Rights Reserved. 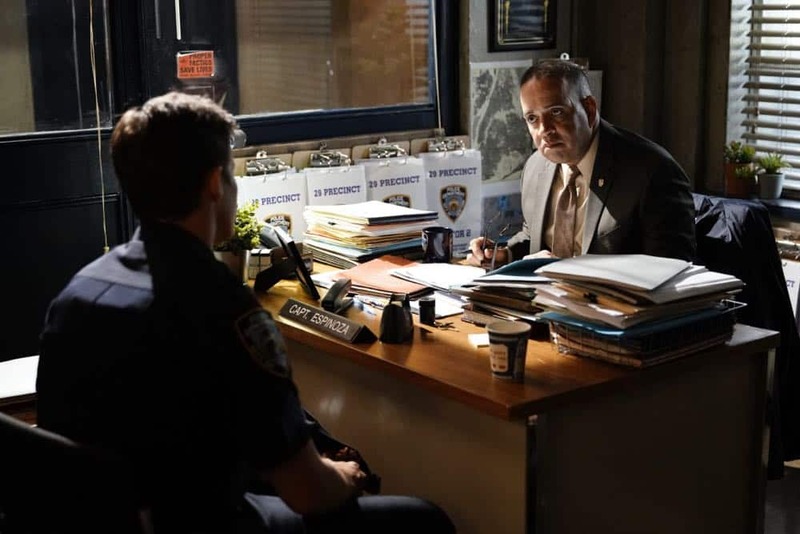 “Meet the New Boss” — Gormley looks to Danny and Baez for help tracking down a former NYPD detective he believes may be a threat to Frank’s safety. Also, Erin navigates office politics when she chooses to reopen a closed case; Jamie is transferred to a new precinct with a lot of problems; and Frank and Baker team up to investigate a complaint about an SVU detective, on BLUE BLOODS, Friday, Oct. 5 (10:00-11:00 PM, ET/PT) on the CBS Television Network. Bebe Neuwirth returns as Kelly Peterson, the corporation counsel who handles civil claims against the department. 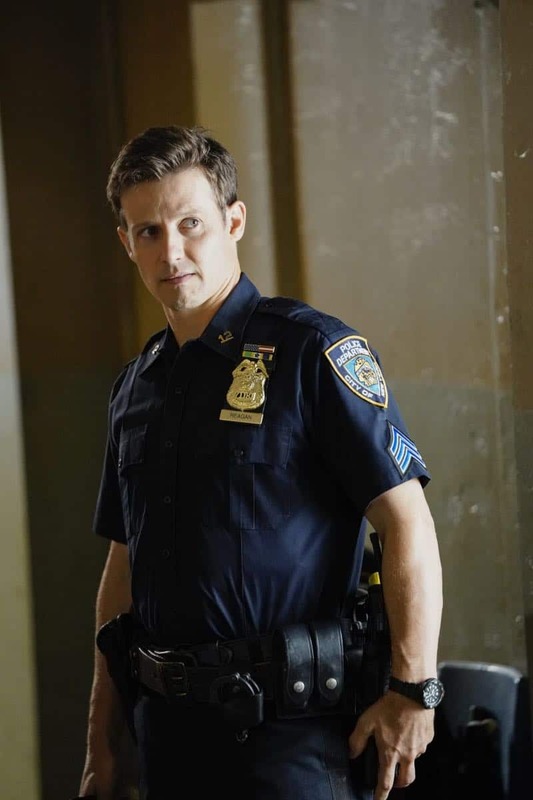 Pictured: Will Estes Photo: John Paul Filo/CBS ÃÂ©2018CBS Broadcasting Inc. All Rights Reserved. ÃÂMeet the New BossÃÂ ÃÂ Gormley looks to Danny and Baez for help tracking down a former NYPD detective he believes may be a threat to FrankÃÂs safety. Also, Erin navigates office politics when she chooses to reopen a closed case; Jamie is transferred to a new precinct with a lot of problems; and Frank and Baker team up to investigate a complaint about an SVU detective, on BLUE BLOODS, Friday, Oct. 5 (10:00-11:00 PM, ET/PT) on the CBS Television Network. 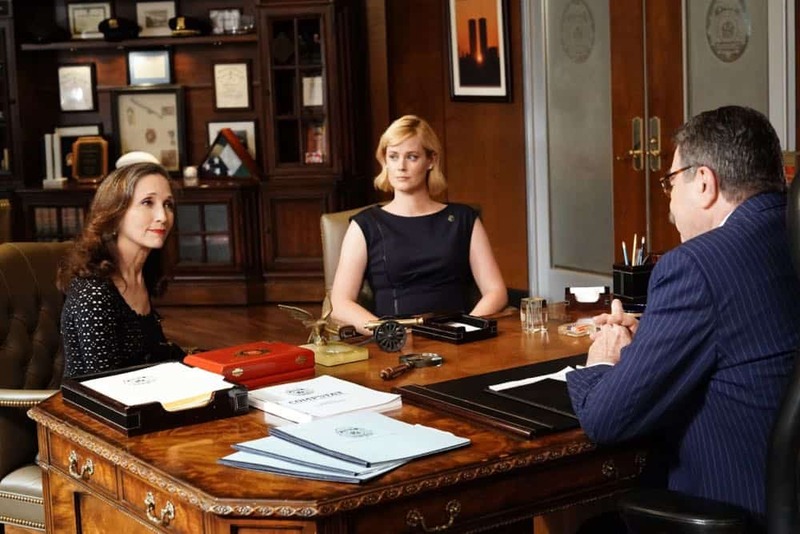 Bebe Neuwirth (pictured, with Abigail Hawk and Tom Selleck) returns as Kelly Peterson, the corporation counsel who handles civil claims against the department. Photo: John Paul Filo/CBS ÃÂ©2018CBS Broadcasting Inc. All Rights Reserved. ÃÂMeet the New BossÃÂ ÃÂ Gormley looks to Danny and Baez for help tracking down a former NYPD detective he believes may be a threat to FrankÃÂs safety. Also, Erin navigates office politics when she chooses to reopen a closed case; Jamie is transferred to a new precinct with a lot of problems; and Frank and Baker team up to investigate a complaint about an SVU detective, on BLUE BLOODS, Friday, Oct. 5 (10:00-11:00 PM, ET/PT) on the CBS Television Network. 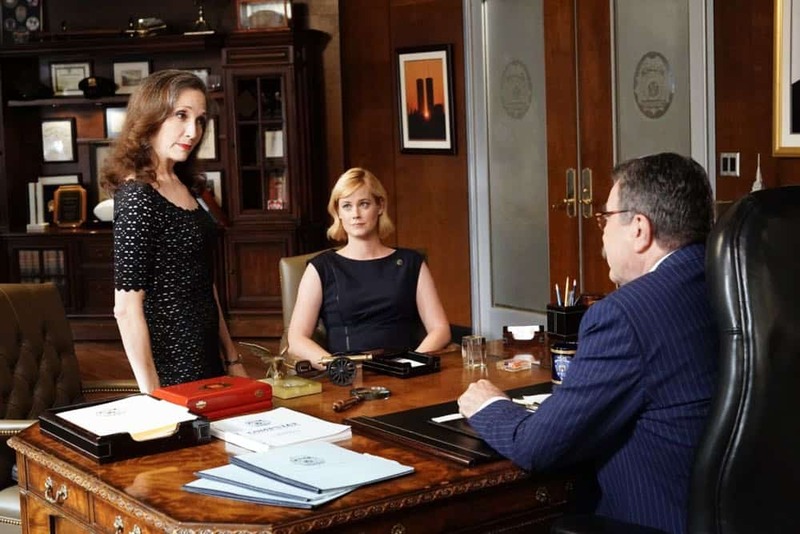 Bebe Neuwirth returns as Kelly Peterson, the corporation counsel who handles civil claims against the department. 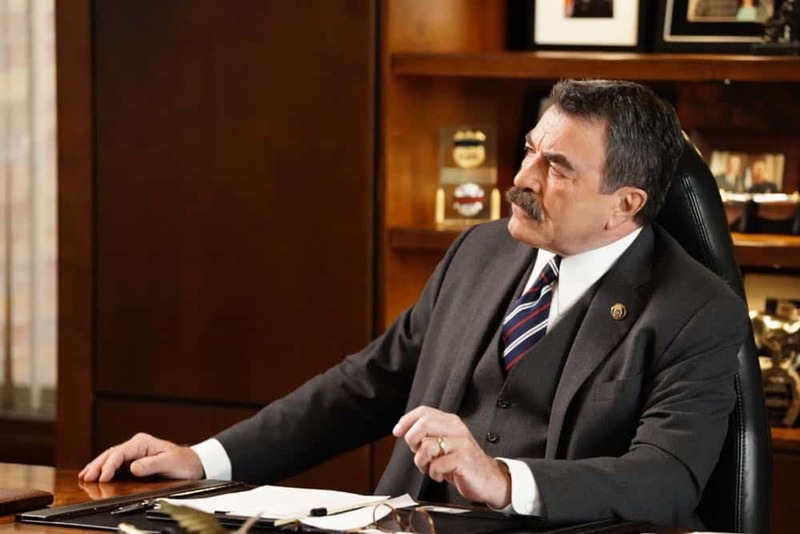 Pictured: Tom Selleck Photo: John Paul Filo/CBS ÃÂ©2018CBS Broadcasting Inc. All Rights Reserved. 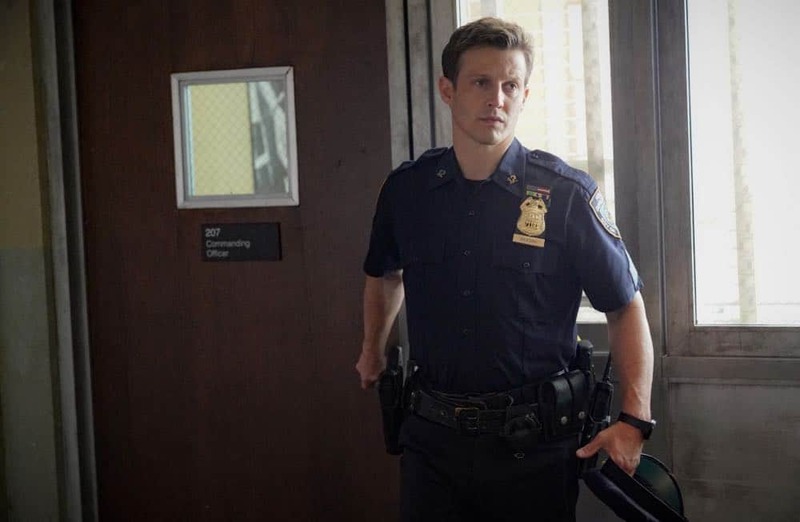 ÃÂMeet the New BossÃÂ ÃÂ Gormley looks to Danny and Baez for help tracking down a former NYPD detective he believes may be a threat to FrankÃÂs safety. 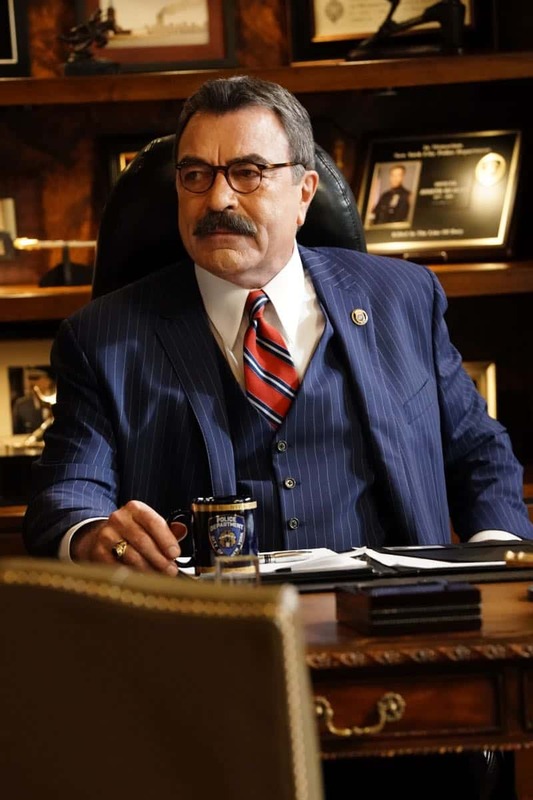 Also, Erin navigates office politics when she chooses to reopen a closed case; Jamie is transferred to a new precinct with a lot of problems; and Frank and Baker team up to investigate a complaint about an SVU detective, on BLUE BLOODS, Friday, Oct. 5 (10:00-11:00 PM, ET/PT) on the CBS Television Network. Bebe Neuwirth (pictured, with Tom Selleck) returns as Kelly Peterson, the corporation counsel who handles civil claims against the department. 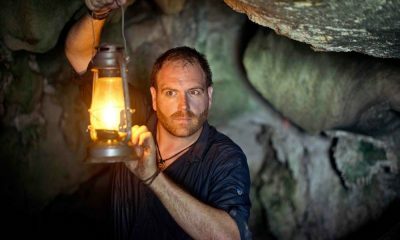 Photo: John Paul Filo/CBS ÃÂ©2018CBS Broadcasting Inc. All Rights Reserved.